The ecommerce industry has become increasingly competitive. Shoppers have shorter attention spans, larger competitors have compelling offers, and fraud rates continue to increase over time. So, why are you still using legacy shopping cart software? How Much is Your Legacy Cart Costing You? According to a SalesCycle survey of 100 global brands last year, nearly 75 percent of retail shoppers will abandon purchases after adding them to their cart. These rates varied from 68.2 percent for health and beauty products to 78.8 percent for consumer electronics. Many of these reasons are unavoidable – such as deciding to buy in store or comparing prices – and others can be improved with better marketing. But, poor shopping cart software could be an underlying cause of at least half of these problems, including issues with shipping, lack of a payment option, and technical issues with the website. These three issues are responsible for about a third of all abandoned carts and they could be preventable. How much are abandoned carts costing you? You can calculate your cart conversion rate by dividing your number of orders by the number of users that added items to a cart. For example, if your store had 100 orders and 400 people that added items to the cart, you would have a cart conversion rate of 100/400 = 25%. Suppose that you have $5,000 in monthly revenue. A 25% cart conversion rate means that there is about $20,000 in revenue added to carts each month. A 10% improvement in your cart conversion rate to 35% would translate to a $7,000 in monthly revenue – or a 40% increase in monthly revenue. In other words, a 10% improvement conversion rates can produce a 40% improvement in revenue! 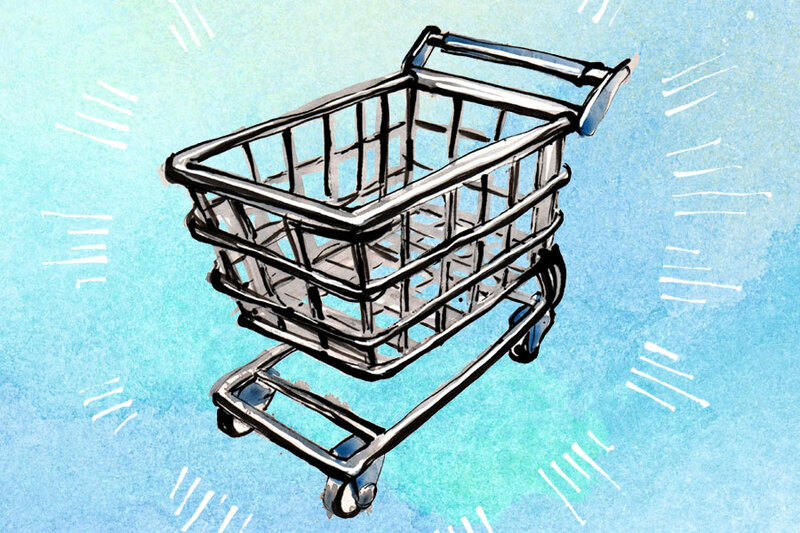 Many legacy shopping carts are also ill-equipped to handle the rise in ecommerce fraud. According to Chargeback, ecommerce merchants lost nearly $7 billion to chargebacks in 2016 and that figure is expected to reach $31 billion by 2020. Chargeback fees can range from $5 to $30 per chargeback and arbitration can cost upwards of $500. Bot fraud can also quickly produce thousands of dollars’ worth of card verification charges in short order. In summary, legacy shopping carts could be leaving a lot of money on the table and expose merchants to the increasing risk of fraud over time. Ecommerce merchants still using PayPal buttons, RomanCart, E-Junkie, FatFree Cart, Mal’s Ecommerce or other legacy carts may want to consider switching to modern alternatives sooner rather than later. Ecommerce may have begun with eBay and PayPal, but Amazon has set a new standard in today’s era. Customers have come to expect simply shopping, fast shipping, easy ordering, and simple returns. There’s a big difference between this and this! Many Payment Options: The lack of payment options causes six percent of cart abandonments. Modern shopping carts should support a broad range of payment options, including new entrants like Apple Pay or even Bitcoin. Many Shipping Options: The lack of shipping details causes upwards of 20% of cart abandonments. Modern shopping carts should support many different shippers and methods of shipping, as well as calculate rates on the spot. Fraud Prevention: Hosted shopping carts should have built-in fraud prevention techniques to help prevent problems before relying on a payment gateway or processor to verify card information or addresses for a fee. Error Free: Hosting shopping carts should have a secure failover environment, fast content delivery, and 24/7 monitoring to avoid technical issues, which cause about four percent of shopping cart abandonment. Single Page Checkout: Amazon’s one-click ordering has dramatically shortened the customer’s attention span and it’s increasingly important to get them checked out as quickly as possible by using a single page. Guest and Account Checkout: New customers don’t want to take the time to sign-up for a new account and existing customers don’t want to re-enter all of their information. Shopping carts should have options for both. Streamlined Appearance: External shopping carts should be customizable to match the design of the store, as well as have the ability to be hosted on the same domain to make it streamline the process as much as possible for customers. Many ecommerce merchants use hosted platforms like Shopify or open-source solutions like Magento when building online stores. These platforms provide a streamlined shopping experience with all of these modern bells and whistles. But, small businesses using third-party content management systems, like Wix, Squarespace, Webflow, or WordPress, often have a harder time since they were explicitly designed for shopping carts. Congratulations! You’ve decided to upgrade your legacy shopping cart to increase conversion rates, reduce fraud rates, and improve other elements of your business. The next step is deciding what kind of solution you need and defining a strategy to make it happen. Move to a New Platform: Many legacy carts are built with content management systems like Wix, Squarespace, Webydo, Webflow, Uploadcare, or others. One option is to transition the store onto a platform like Shopify or Magento. The benefit is that ecommerce functions are streamlined, but the downside is that the look-and-feel and content on the old system may be impossible to move over. The transition process can also be expensive and time-consuming for larger sites. Use a Solution like Foxy: Foxy provides a straightforward way to implement a modern shopping cart into an existing content management system. Foxy offers a superior checkout experience that supports many product types, over 90 payment gateways, many shipping options, multiple currencies, multiple languages, different taxation, and even handles things like customizable transactional emails. A great support team also has your back with over 8 years of ecommerce experience. The decision between these two options depends largely on a merchant’s individual situation. A small merchant that has a website driven by search engine traffic may want to avoid transitioning to an entirely new platform because it could hurt search rankings. On the other hand, a larger merchant may have outgrown their Wix website may want to consider switching over to a larger platform like Magento if they’re looking to scale up. The next step is developing a plan to transition the website, which should include both technical and business details. In the case of moving to a new platform, this could involve a complete redesign of the website and the configuration of the new ecommerce software. The decision to use Foxy is a much more straightforward process that could involve setting up a staging server or simply switching over a couple products at a time. Legacy shopping carts can be costly in terms of opportunity costs and fraud costs. While switching to an entirely new platform can be a huge endeavor, Foxy offers the features of a modern shopping cart with the ability to easily integrate into nearly any existing content management system. Many merchants looking for an easy upgrade should consider Foxy as a great alternative to solutions like PayPal buttons, RomanCart or others. Use this shopping cart comparison guide to help you decide which popular shopping carts are best for your business.